This indicator is an invitation to the event. Didn't find more suitable place to put this question, so I'll just ask it here. What is this bar over the health and holy power bars? Been thinking about it and can't figure it out. What is this bar over the health and holy power bars? It's Vengeance bar for tanks. And disable|enable in options(UF block). Hello i really want to give this addon a try and it seems to be really nice. But.. i have a some few problems that i would like to get fixed so that i can get the max out from the addon and make it fit me! 1. How do i make my name and guild show above me character and other characters? 2. When i type something etc. /say Hello, The text bubble is empty just shows a bubble then nothing more. 3. Ive enabled recount but where is the recount box with everyones dps and so on? 1) It's a Blizzard option: check it out. 2) I don't have this issue. Need more info (Used AddOns, maybe a screenshot, etc.). 3) Again: more info, please. In the latest version of the UI the gold display is only shown when I open my bags. Could you help how to put it back on the main frame? Also, all my DBM bars changed positions (I got the latest DBM release and the bars were at their right place on a previous Shestak version). Could you please help? Thanks. gold display is only shown when I open my bags. Could you help how to put it back on the main frame? So it should be the default - gold on bag frame. all my DBM bars changed positions (I got the latest DBM release and the bars were at their right place on a previous Shestak version). Read changelog. 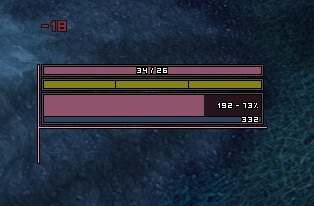 DBM bars now anchored to player frame.